The site uses a well considered and concise format for the articles, making it really easy to read. I think it’s still in Beta, but it looks almost ready to me. 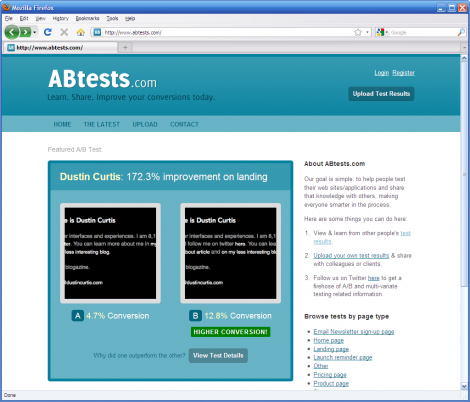 Follow @abtests to find out more.